ARLINGTON, Va. – The Navy’s newest amphibious assault ship will replace the service’s oldest as the forward-deployed big deck in the Pacific. 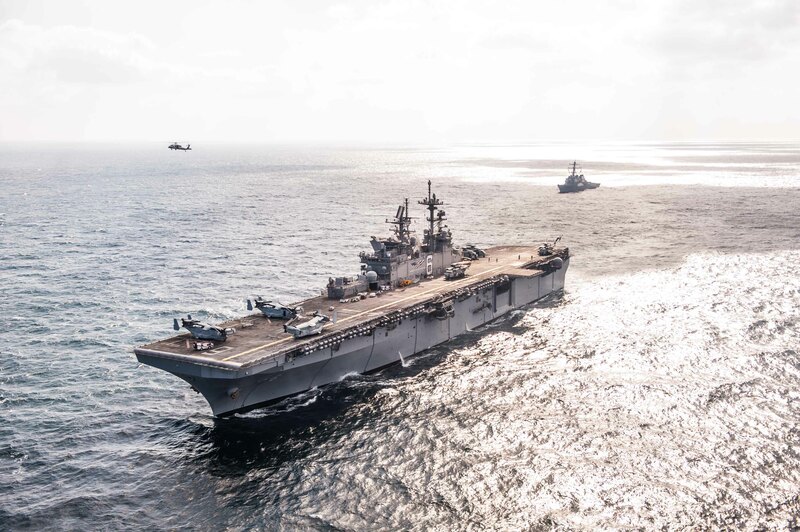 USNI News previously reported that USS Wasp (LHD-1) would be coming back to the East Coast sometime later this year, after just arriving in Japan in January 2018 to serve as the flagship of the amphibious fleet in the U.S. 7th Fleet region. The head of U.S. surface forces told USNI News in a media call that USS America (LHA-6) would take its place. “[Wasp] is coming around because of maintenance – her time in [the Forward-Deployed Naval Force] is over out in Japan, America‘s going out there. She’s coming back because of maintenance and dock loading and stuff like that,” Vice Adm. Richard Brown, commander of Naval Surface Forces and Naval Surface Force Pacific, said in a Jan. 11 phone call with reporters ahead of this week’s Surface Navy Association annual national symposium. Another source confirmed to USNI News that the Navy does plan to send America to Japan as Wasp’s replacement. Two Navy offices did not respond to USNI News requests for comment on the timing of the move or any preparations that would have to be made in Japan to accommodate the newer amphib. The Navy today has nine amphibious assault ships in service: eight Wasp-class LHDs, and America. 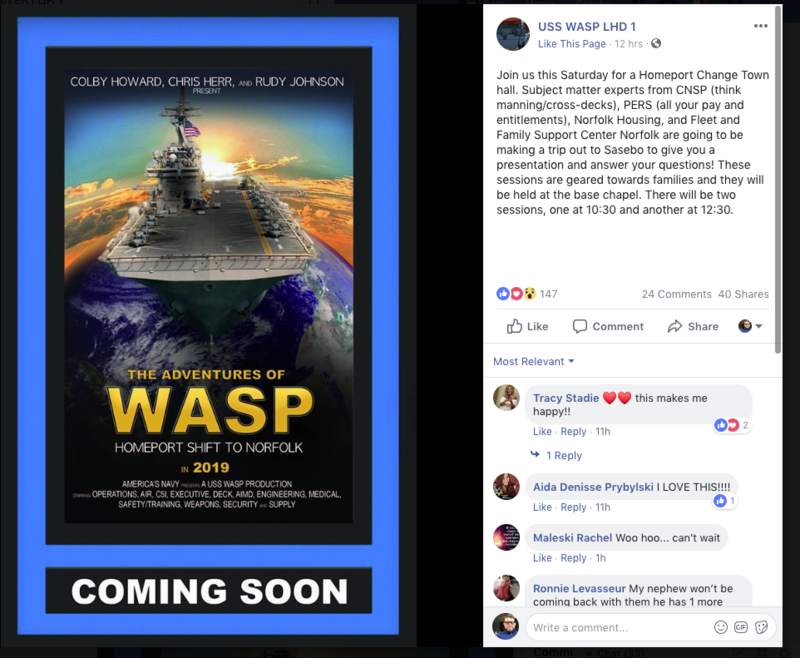 The second America-class ship, USS Tripoli (LHA-7), will commission this fall in Pensacola, Fla., according to local media. Wasp and USS Essex (LHD-2), the two oldest big-deck amphibs in the fleet, are the two that currently support F-35B Joint Strike Fighter squadrons in the Marine Corps – Wasp as the FDNF ship in Japan supporting Marine Fighter Attack Squadron (VMFA) 121, and Essex in its current rotational deployment in the Middle East with VMFA-211 embarked. America and Tripoli, though, were built as aviation-focused ships with increased jet fuel storage, aircraft maintenance space and equipment and more. The Navy has not yet announced its plans for Tripoli once it commissions and goes through its at-sea testing and post-shakedown availability.